Today I felt like making something to wear for St. Patrick's Day (March 17th). After all, I am one eighth Irish. 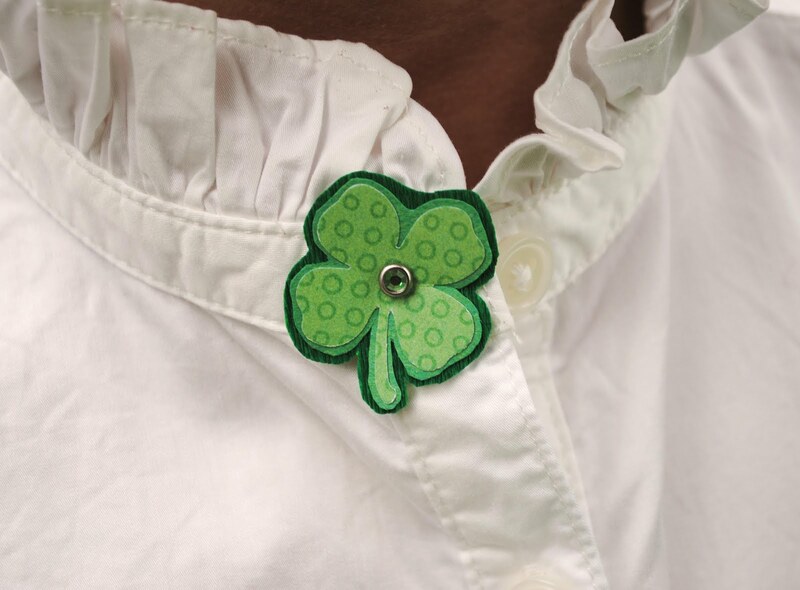 This shamrock pin is nice and simple, not to fussy. 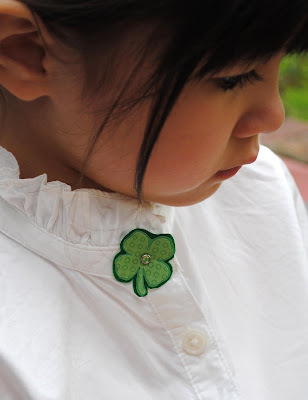 It's also quick, easy and inexpensive to make. The kind of thing that's perfect to make for a large group. *I know this is technically not a shamrock, it's a four leaf clover. 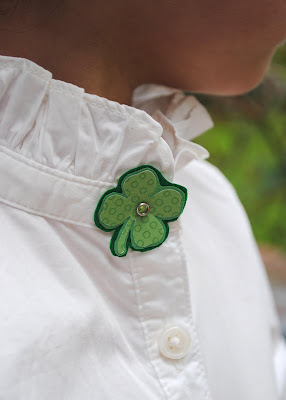 I just like the way "shamrock pin" sounds rather than "four leaf clover pin". 1. Punch out one shamrock on a print paper. 2. 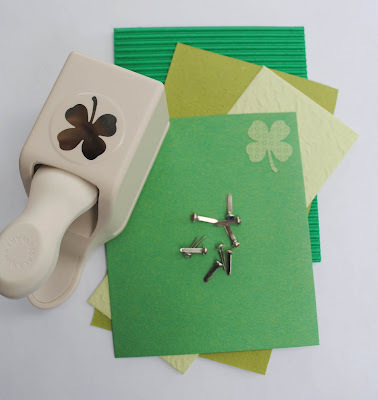 Glue onto a different colored paper. Cut out leaving a small edge of the second paper showing. 3. Repeat step two so you have three layers. 4. Punch a whole in the center of the shamrock. Add decorative brad. 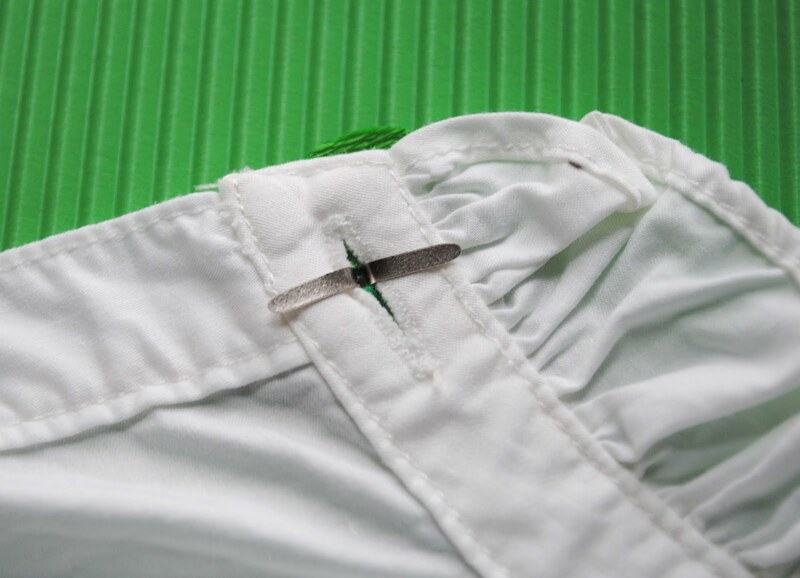 Place the brad prongs in a button hole and open to secure on the shirt. You could also fold the prongs over the collar of the shirt. Kind of like those metal badges you get at museums. can men wear this as cufflink? Good idea! I think that would work fine. I would just make sure to use a thick paper that will hold up well. (big) A-W-W-W-W!! That is so darling! Hi! I'm finally back to blogging! Nice pin, such a beautiful little girl.